The NordicTrack T 9.5 S is the new top end model in the recently introduced T Series, the popular company's most affordable treadmill lineup. The T Series replaces the former C Series, but all of the new machines have received some incredible updates, making them even more appealing than their predecessors. The NordicTrack T 9.5 S features a brand new ergonomic design, with plenty of room to stretch out on the well cushioned deck and a large touch screen console with Quick Touch adjustment buttons. The new T Series has received a lot of positive reviews thus far, as NordicTrack has essentially taken the former C Series and added features and capabilities that were not previously available. For starters, all of the treadmills, including the base T 6.5 S, now come with Smart HD touch screen consoles. The T 9.5 S has the largest one, at an impressive 14", and you can see all of your workout stats clearly as well as choose on demand training classes featuring personal trainers all over the world. The iFit Coach program, NordicTrack's subscription-based immersive workout experience, gives you access to an unlimited library of programs, nutrition and sleep recommendations and Google maps of anywhere you choose, from exotic locations to streets right in your area. It's as if you are actually there, and you can watch your running course unfold right in front of your eyes, while the treadmill automatically adjusts the speed and incline to match the terrain. On top of all of the workout possibilities, the NordicTrack T 9.5 S gives you up to 12% incline to ramp up your training, and up to 12 mph speed which can accommodate even the most serious runner. You have 50 diverse workout programs on board (and endless more through iFit) and a powerful 3.6 CHP motor, slightly more powerful than the one on the T 8.5 S treadmill. The running area is plenty ample, 20" x 60", so you won't feel cramped like you do on some treadmills. Your heart rate can be measured with the pulse grip and there's a media tray as well as a workout fan to keep you cool. The NordicTrack T 9.5 S comes with a very solid warranty too: lifetime on the frame and motor, 5 years on parts and 2 years on labor. That's very impressive for a treadmill in this price range. How Does the T 9.5 S Compare to the Other NordicTrack Treadmills? There are a lot of NordicTrack treadmills to choose from, so it's helpful to know what you're getting with each one and how they are different from each other. The T 9.5 S, as we mentioned, is the top of the line model in the affordable T Series. You also have the T 6.5 S, T 7.5 S and T 8.5 S. So there are four models to choose from. 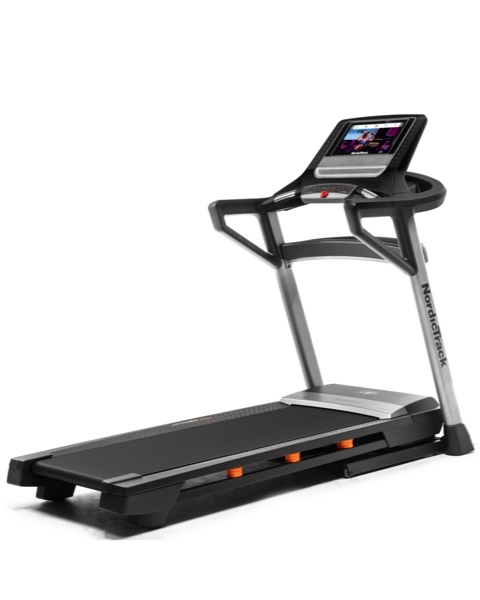 The base T 6.5 S has a 10" Smart HD touch screen, 2.6 CHP motor, up to 10% incline and 10 mph speed, 20" x 50" running area and 20 built in workouts. The T 7.5 S has a 7" Smart HD touch screen, 3.0 CHP motor, up to 12% incline and 12 mph speed, 20" x 60" running area and 50 built in workouts. It also adds Bluetooth audio, workout fan and an integrated tray. The T 8.5 S has a 10" Smart HD touch screen, 3.5 CHP motor, plus all of the features of the T 7.5 S.
The T 9.5 S, as you've read about above, has a 14" Smart HD touch screen and 3.6 CHP motor. Otherwise it is essentially the same as the T 8.5 S.
Above the NordicTrack T Series you have the Commercial Series and the Incline Trainers, both of which are more advanced than any of the T models. The Commercial Series treadmills (1750, 2450 and 2950) have at least 3.75 CHP motors, incline and decline capability, larger 22" x 60" decks, more advanced cushioning and better workout fans. 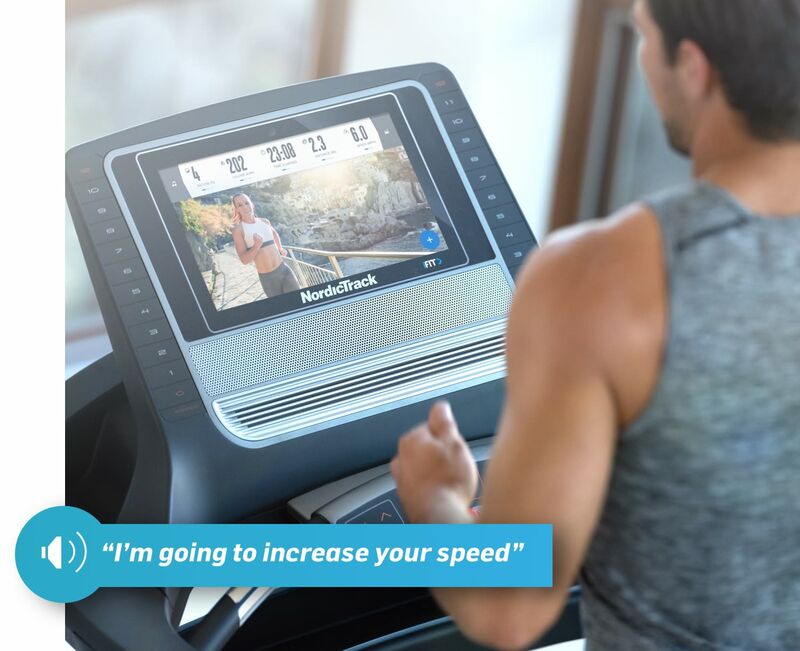 The Incline Trainer treadmills (X11i, X22i and X32i) are very much like the Commercial Series, just with more incline and decline capability, and even larger touch screens on some models. So your T 9.5 S is going to be just a step below the Commercial 1750, but it still has tons of great features and more than you'll find on most competitors, making it a great choice. If you're looking for an awesome treadmill under $1500 for your home gym, the T 9.5 S is a smart choice for you. It has a large cushioned running deck to minimize impact, incline capability, a huge Smart HD touch screen, 50 built in workouts and the iFit Coach program built right in. You'd be hard pressed to find this many features elsewhere, especially for the price. If you want to save a little money look at the T 8.5 S as well, which is very similar to the T 9.5 S. Also consider the T 7.5 S if you are OK with the smaller screen size. Regardless of which model you choose, the T Series is a winner that is sure to please. Get the popular T 9.5 S on sale right now!